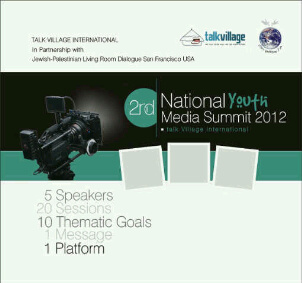 Talk Village International Present National Youth Media Summit. Register Online today!!! The media play a central role in modern societies because they represent a primary source of information and are a main provider of entertainment for large numbers of people. As a result, the media make a decisive impact on the political, economic, social and cultural activities of people and institutions, bringing about new behavioral and cultural patterns as well as, help to shape individual opinion, notions and beliefs. the needed mileage for Youths to reach the various segments of the Nigerian and Africa Media industry. Adopt a quality management and standards accreditation route, with Nigeria playing a leadership role through the inclusion of the youth. Why is the Youth Media Summit taking place? recognition in the international market. Nations Millennium Development Goals (MDGS) by year 2015.
content, media literacy and technology in media. 8. Broadcast journalism in the age of globalization: prospects & Challenges.